Klaipėda (Memel) is today the third-largest city in Lithuania and the country’s largest port. It was particularly important in Hitler’s time since one-third of the country’s industry was located in or near it. 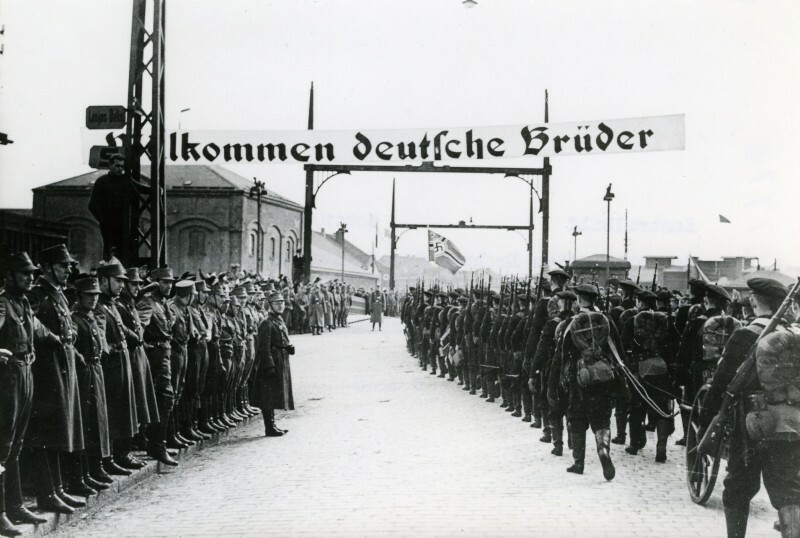 On this day in 1939 the Third Reich annexed Memel and the surrounding area in Lithuania. It was the last territory Hitler acquired peacefully. All later acquisitions were made through force of arms, during World War II. Memel is the German name for the Lithuanian city of Klaipėda. The area was under the control of the German Empire before World War I (it was actually the northernmost city in the Empire), but they lost control of it during the war. Hitler demanded the return of Memel to Germany, something he justified by claiming it had once been part of Germany. Klaipėda is today the third-largest city in Lithuania and the country’s largest port. It was particularly important in Hitler’s time since one-third of the country’s industry was located in or near it. It is also one of the few Baltic ports that is free of ice during the whole year. After the annexation of Memel to the Third Reich, Hitler personally visited the city, arriving aboard the heavy cruiser Deutschland. Lithuania accepted his demand after an unwritten ultimatum given by von Ribbentrop, the German foreign minister, to his Lithuanian counterpart. Ribbenthrop had threatened military intervention should the Lithuanian government refuse to accept his demands.